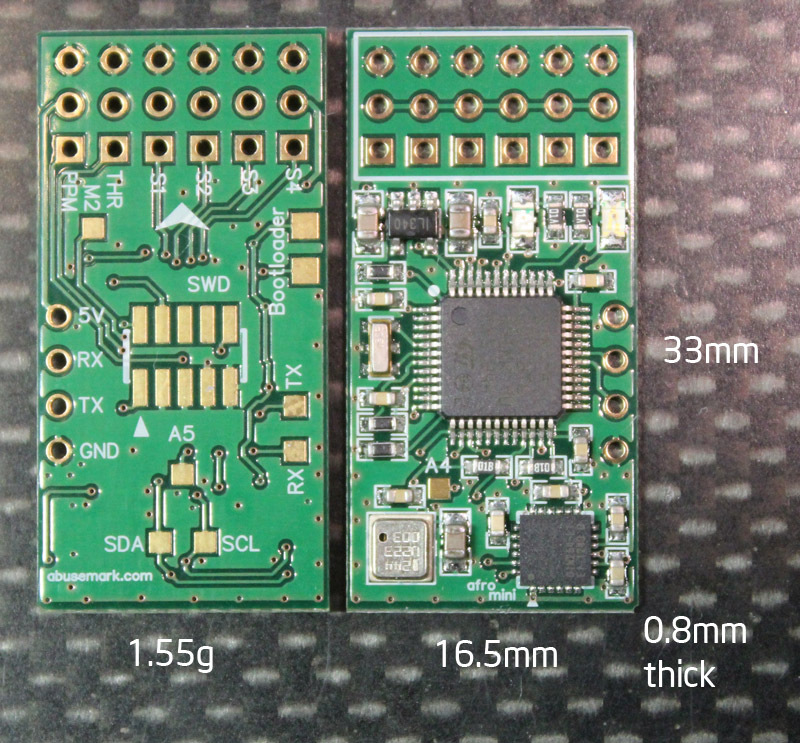 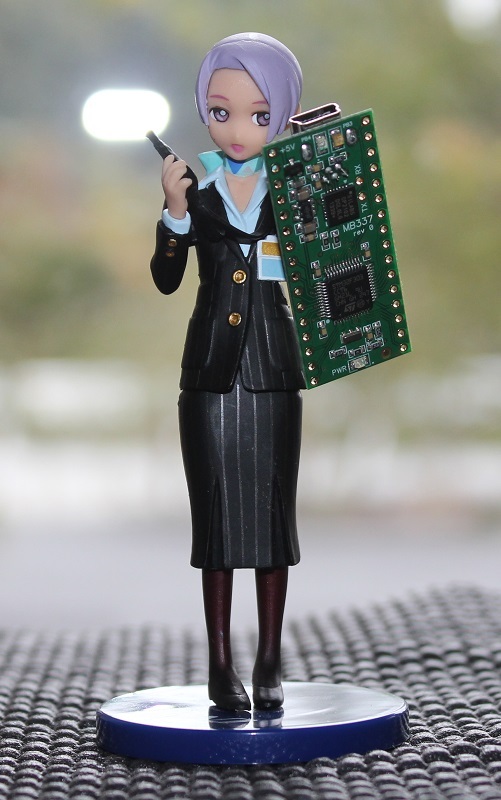 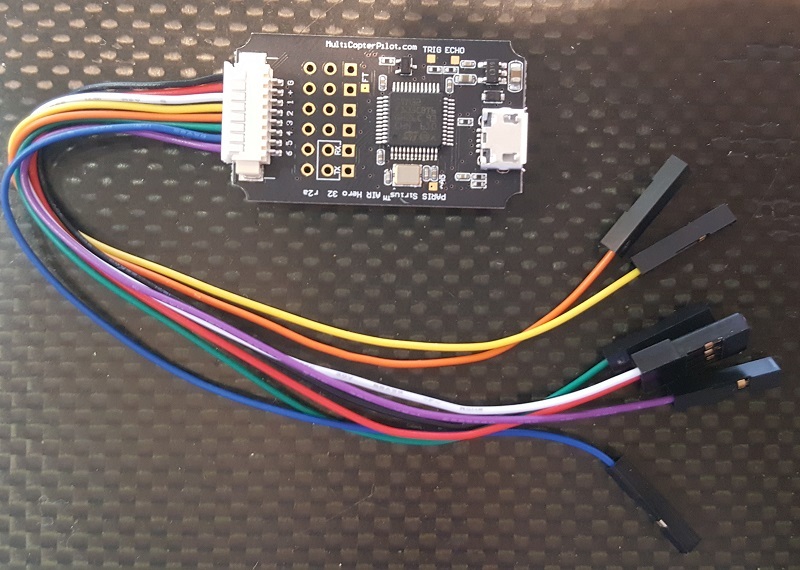 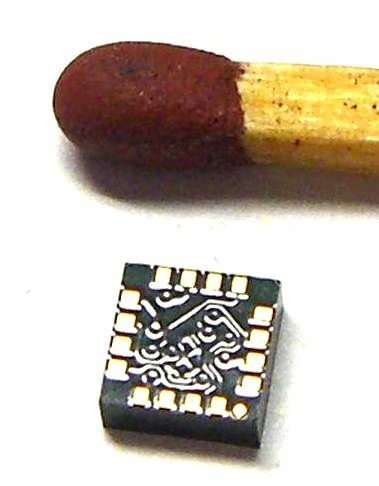 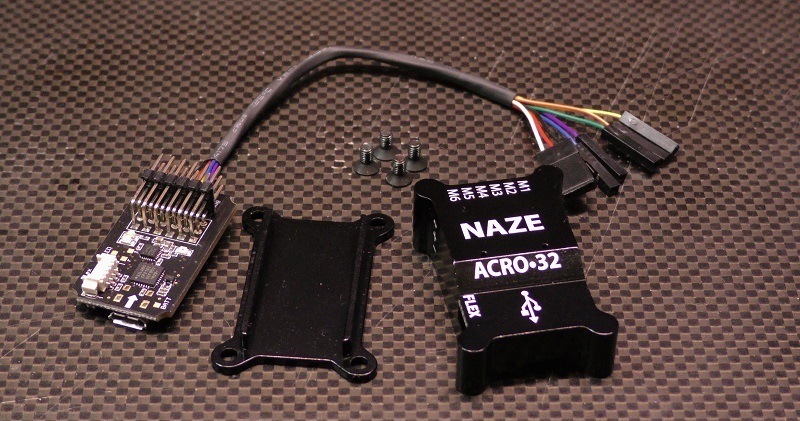 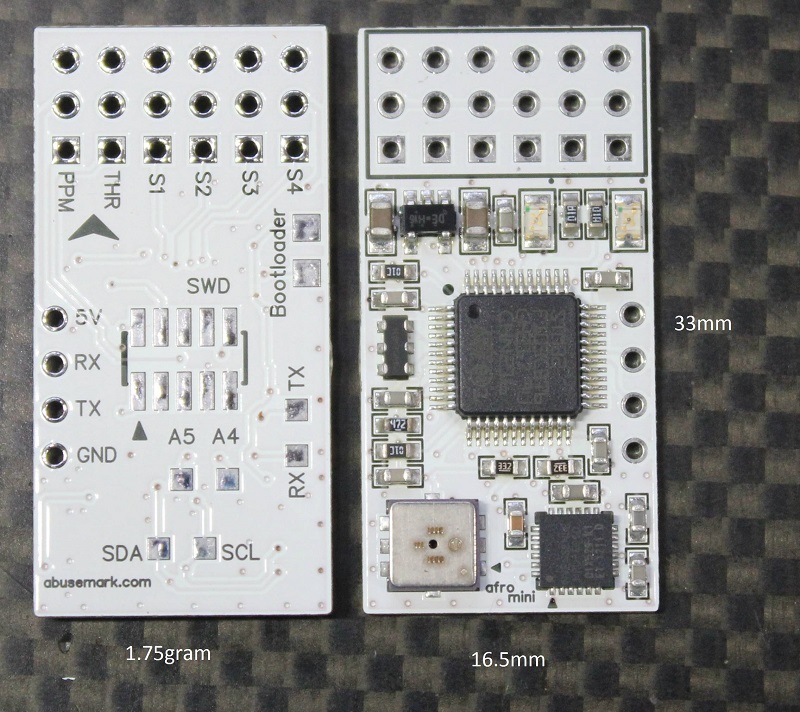 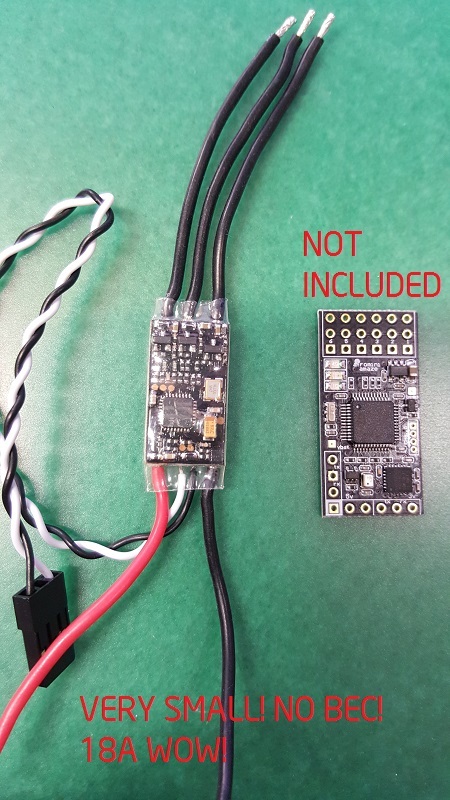 This is a micro version of Naze32, designed for use with OpenAero32 or baseflight. 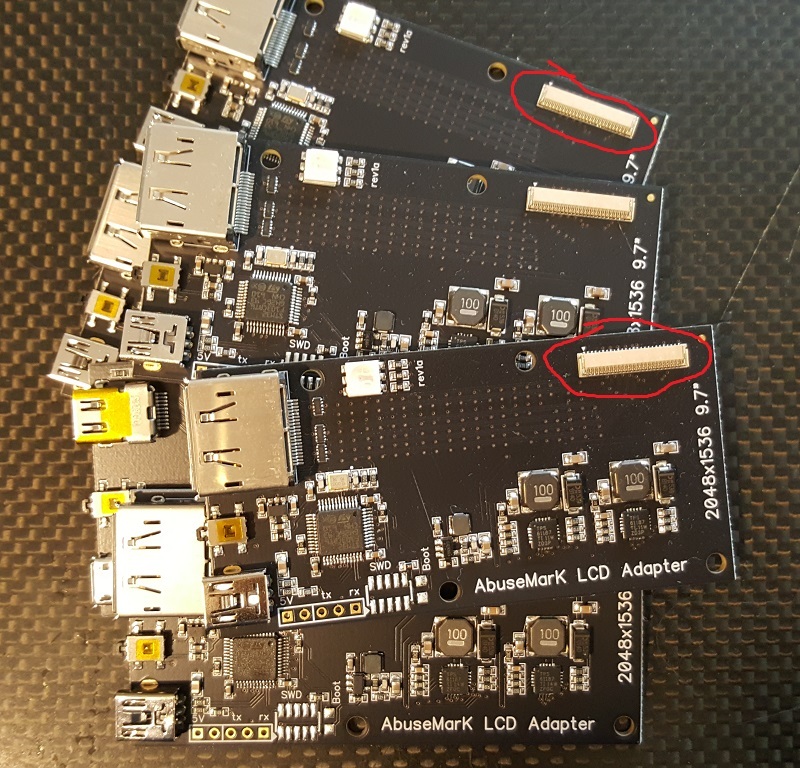 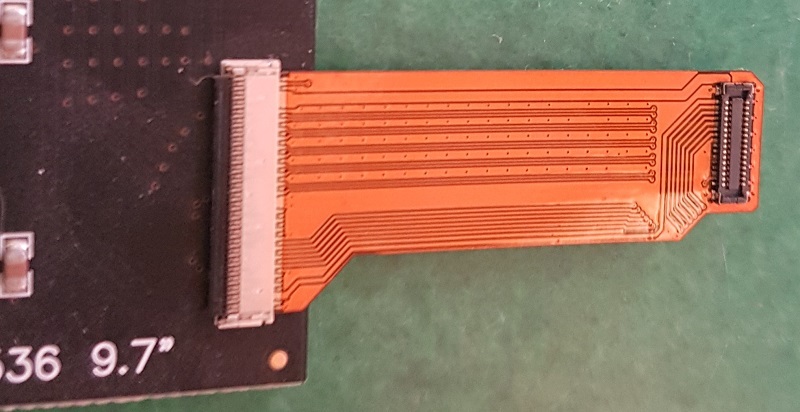 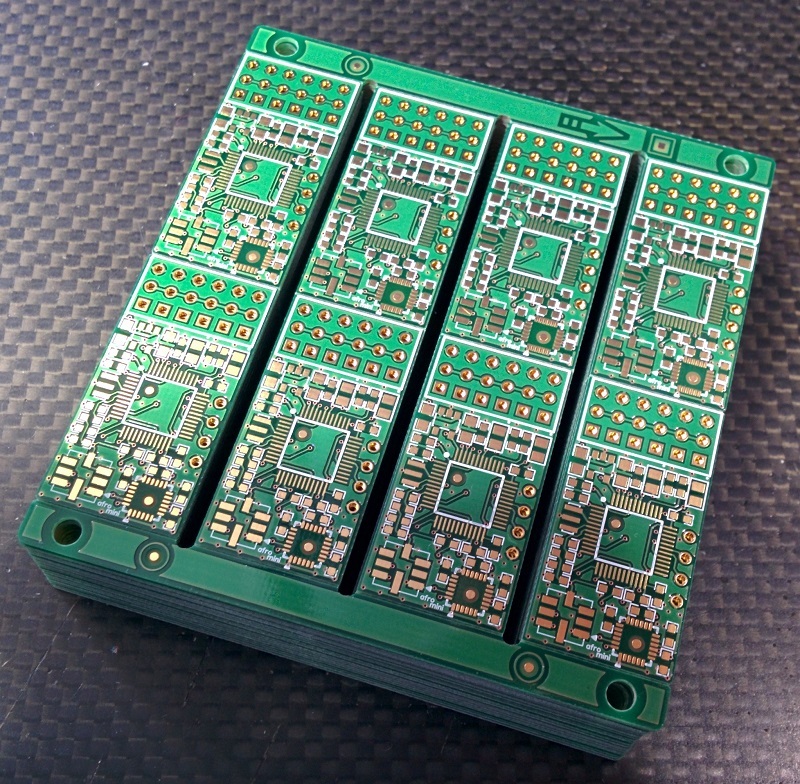 Currently shipping rev3 BLACK 0.8mm thin boards. 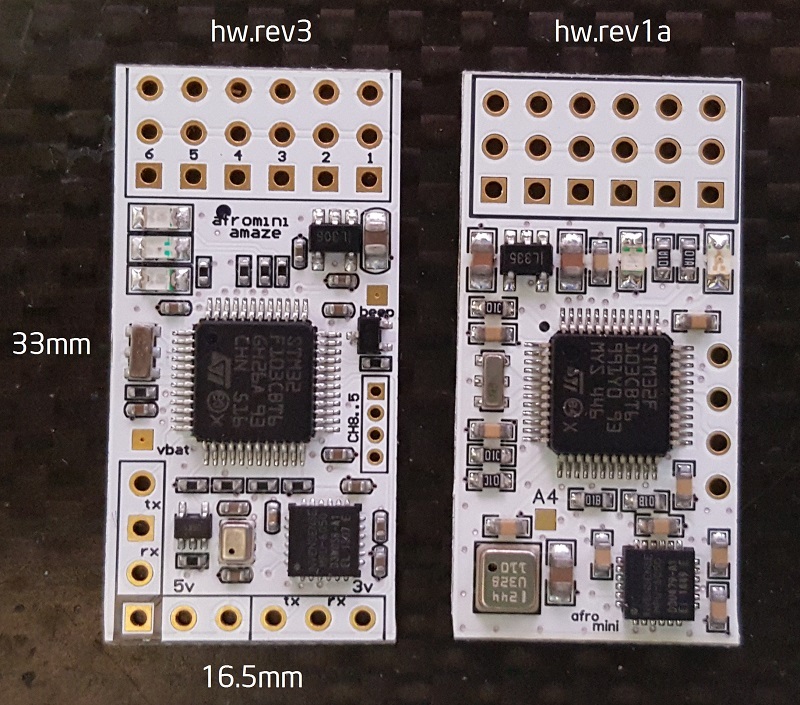 rev1 available by request, limited qtys.